ake Merritt, the man-made lake at the center of Oakland, has been called the city’s beating heart. It is more than a body of water — it is where people gather to celebrate and protest, to party and to mourn. After the election of President Trump, the lake is where liberal Oaklanders showed up to hold hands around the 3.4-mile circumference. When the Ghost Ship fire took 36 lives in December 2016 — many deeply connected to the community — the lake is where people came to hold vigil. 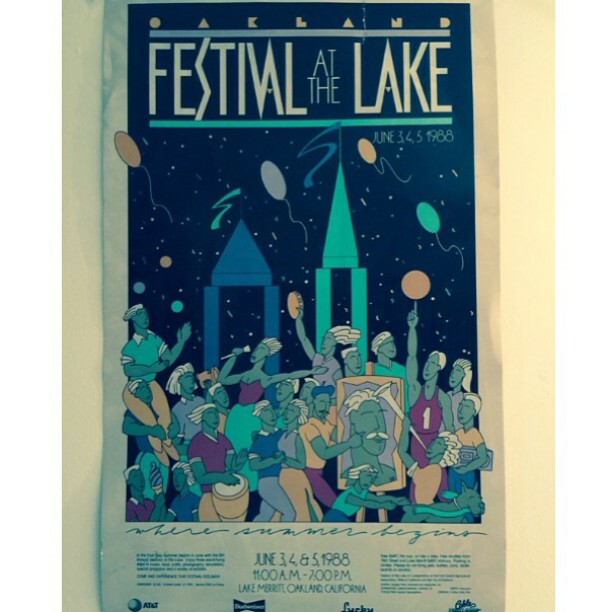 And for 16 years — from 1982 until 1997 — the beloved Festival at the Lake captured the essence of Oakland. If you stand at the amphitheater on the lake’s southwest corner and look left, you’ll see the Alameda County courthouse. In 1968, protesters and Black Panthers party members stood on the courthouse steps, holding signs that said "Free Huey," during the murder trial of Black Panther co-founder Huey Newton. Turn your head, and you see 1200 Lakeshore Avenue. Newton later lived in the penthouse there, with an all-too-perfect view of those same steps, as he descended into drugs and paranoia and the party crumbled around him. It was also here in 2015, right at the amphitheater, that a group of black and brown drummers celebrating a red moon had police called on them by a white resident. The history of the lake tells a story of race and space, who gets to belong and who is permitted access to public space in Oakland. Lake Merritt has been fought over and policed, controlled and patrolled, by residents and city officials alike. The lake became a flashpoint this summer, after a white woman called the police on two black men who were barbecuing. One of those men was Kenzie Smith. The incident went viral, becoming a kind of metaphor for the erasure and pushing out of black people by gentrification and a rising tide of racism. It also became one of a wave of stories of black people having police called on them by white people, for what many said was just being in public. Oakland, specifically black Oakland, did not stay quiet. People gathered at the lake to dance the electric slide, and then on a Sunday in May, hundreds came here to BBQ while black. Watts said he could smell the barbecue smoke from his house, and as he drew closer he saw more and more people, gathering and grilling, even early in the morning. “It was brothers out here, no shirt, flipping slabs of ribs, like he was in his backyard,” he said. Watts organizes an event called the Fam Bam at Lake Merritt every Fourth of July. But the "BBQing While Black" event transported him back in time. Festival at the Lake was part music festival, part block party. From 1982 to 1997 it was a gathering of folks from across the town — a multicultural meeting point for all of Oakland to come together. 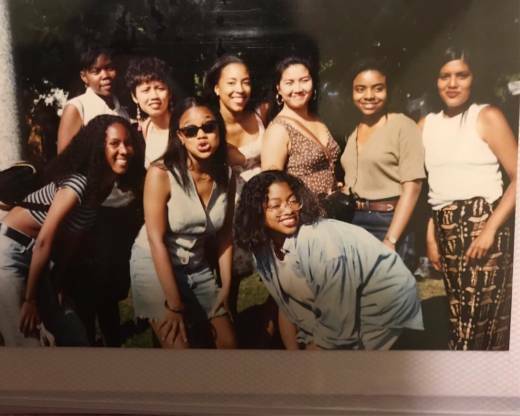 For many who grew up in Oakland in the '80s and '90s, it was “the place to be,” said Nicole Lee. 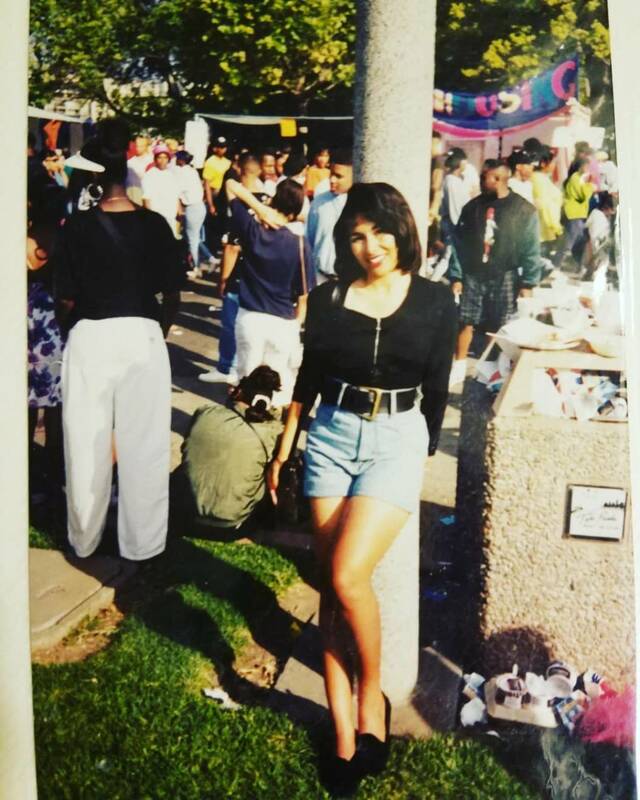 Lee, who grew up in Oakland and went to the festival in the '90s, now organizes 510 Day at Lake Merritt. “It was one of those signature events,” said Davey D Cook, known as Davey D. He's a journalist, DJ and Lake Merritt resident. 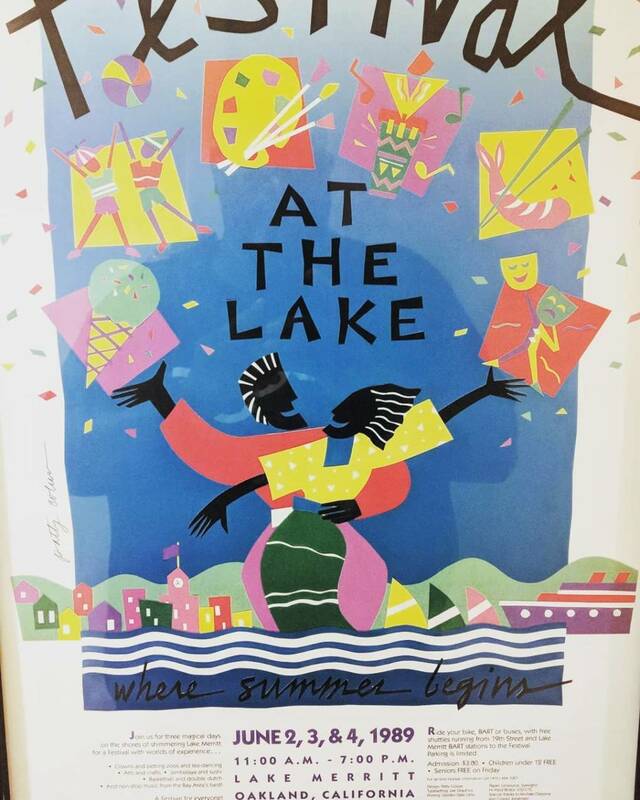 Like Freaknik in Atlanta, or Taste of Chicago in Chicago, Festival at the Lake was a destination for black people to see and be seen. 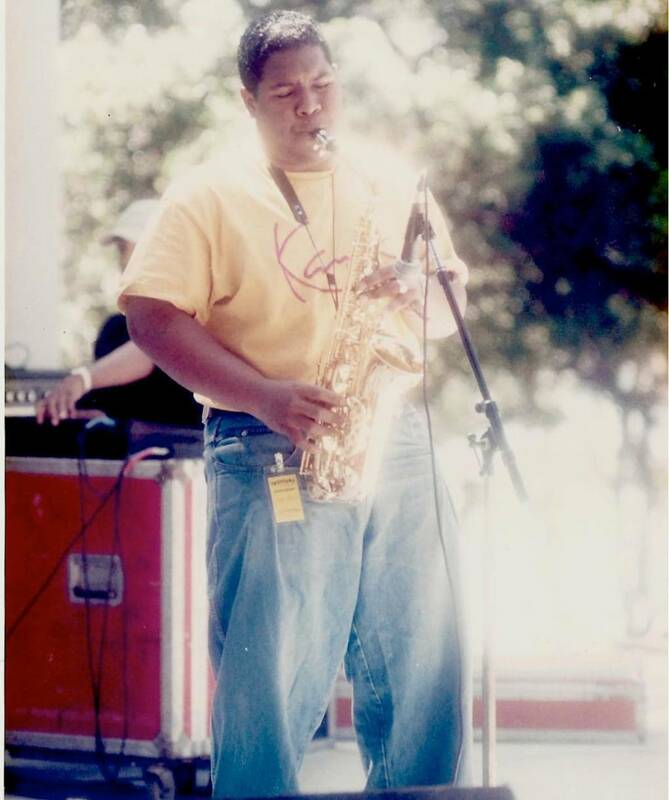 While acts like Etta James performed on the main stages during the day, the draw for many young people came later. “I never even went to the festival. It wasn’t even about the festival for me,” Travis Watts said. “The evening would be when all the teenagers and young adults would come out,” Lee said. “It was a beautiful, beautiful event,” said Watts, sitting on the benches by the pillars. “I mean, right here. 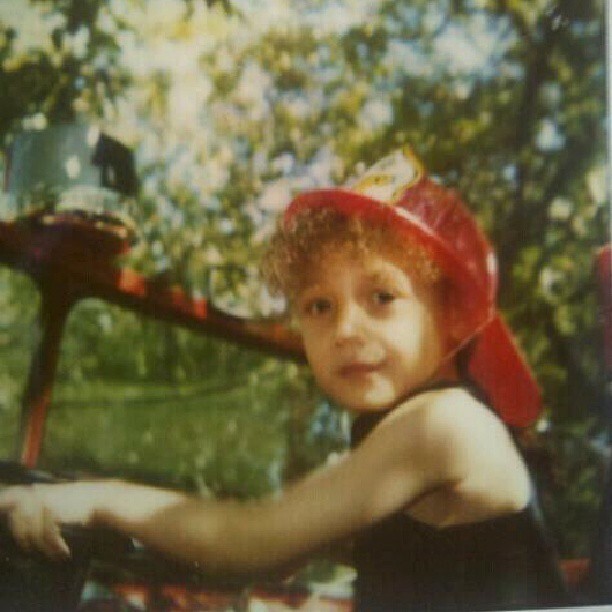 It’s like it was yesterday." Like so many things from one’s childhood, Festival at the Lake is now tinged in the rose-gray light of nostalgia. It was also a time when the war on drugs was amplifying the over-policing of black bodies, especially when they gathered en masse, said Boots Riley, Oakland activist, frontman of The Coup, and director of this summer’s breakout film, "Sorry to Bother You." Fights broke out and other types of violence, too. In a video posted on YouTube from around this time, you can see some young men sexually harassing and possibly assaulting young women. Eventually, cruising laws made it criminal to drive more than once around the lake. People would drink and sometimes become violent, said Davey D. But he said it didn’t have to be that way. The festival itself, he said, was geared toward older people, even though it was clear young people from across the city were hungry for this kind of celebration. “When the Festival of the Lake was happening, I had meetings at my house with some of the people who were really reluctant to have hip-hop acts and acts for younger people ... they didn’t know how to deal with that 'cause they were getting a large influx of younger people. “So you have 100,000 people at Festival at the Lake, you have a good percentage of them being younger folks, and you had very reluctant folks who were putting it together to do something to be very intentional about occupying and accommodating them,” he said. Giving young people something to do, Davey D said, could have changed what happened next. 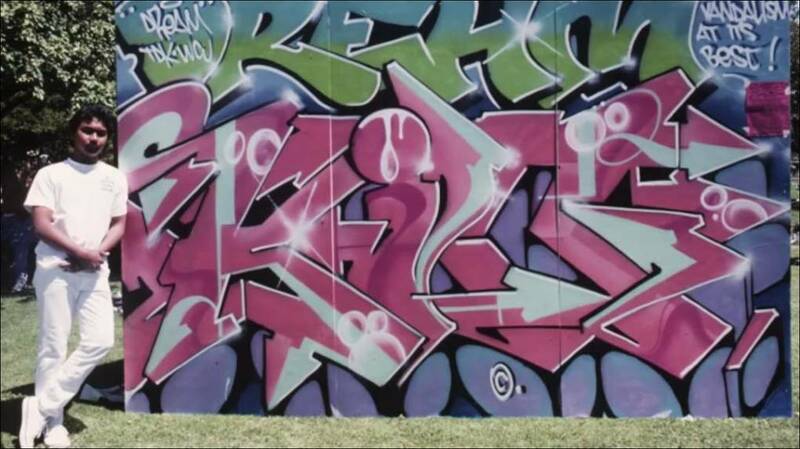 The festival was disbanded after violent incidents broke out, and the organizers ran out of money. What many remember so vividly about Festival at the Lake was a time when the lake was occupied by everyone. “You know, just people being out, enjoying the city, looking cute, feeling like they could take up space, public space, in the city that belongs to us,” Nicole Lee said. On Sundays after church, this is still where many black families come to grill and hang out. 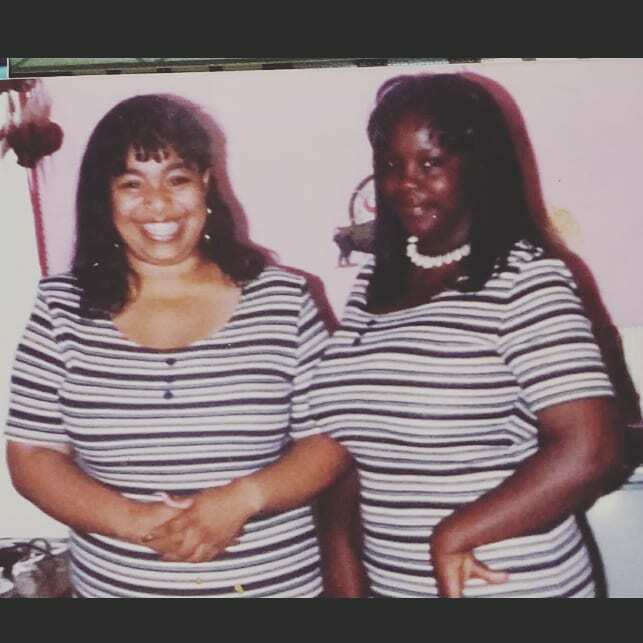 That has taken on a different meaning as many of them have moved out to surrounding areas and return home to Oakland on Sunday to go to church, and afterward to meet up at the lake. Oakland was never quite a majority black city. At the height of its black population in 1980, two years before the Festival at the Lake started, Oakland was 47 percent black. In the 20 years since the Festival at the Lake ended in 1997, that number has been in steep decline, and is now just under 25 percent. Travis Watts pauses. He knows that some of the newer festivals, like his own Fam Bam, or 510 Day, have worked to keep the lake alive for all of Oakland. But even he can’t escape the deeper changes in the city. “It just used to be ... you could just see more of a black presence, you know,” Watts said.